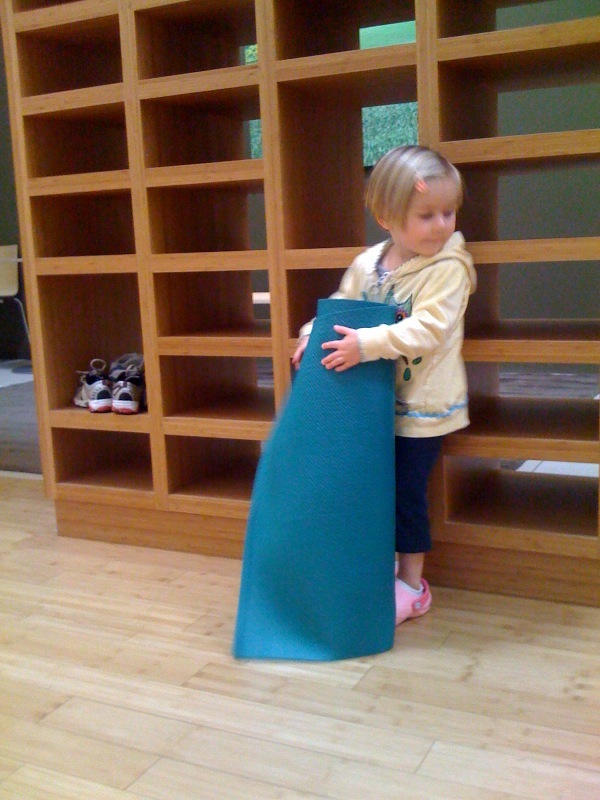 P took her first yoga class last Sunday. The class was geared for her age, ie tolerant of kids not exactly following along but even then I found it tough to get through. There were only two other families with us. P was the youngest by about two years. She wanted to do everything but follow along. She ran around the circle, rolled in her matt, jumped on top of me, etc. It was tough. It was frustrating because her music class has way more structure and she follows along really well. I felt she got the teacher right away and knew she could get away with anything. Awful. I was told it gets better with each class. I’m debating whether I want to do it again this coming weekend. Next Next post: Where’s My Air?